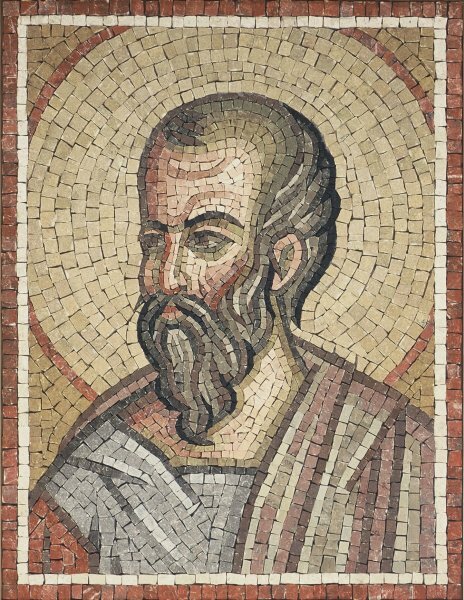 'Agiographer Panselinos - O agiografos Panselinos' mosaic by George Kepolas, with natural stones from Cyprus. 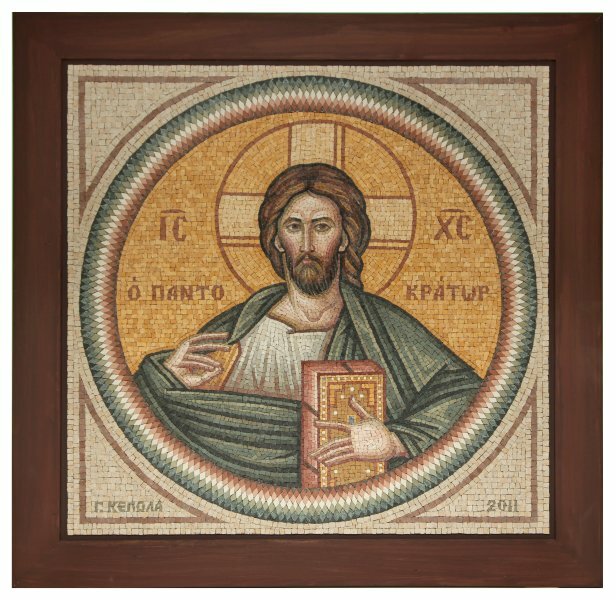 'Christ - Christos' mosaic by George Kepolas, with natural stones from Cyprus. 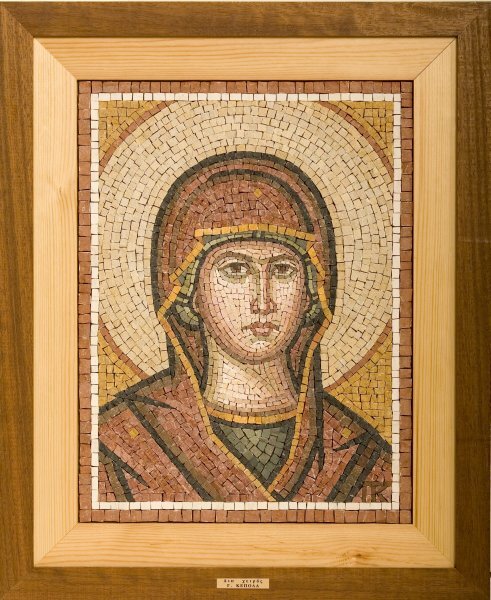 'Holy Mother - Panagia' mosaic by George Kepolas, with natural stones from Cyprus. 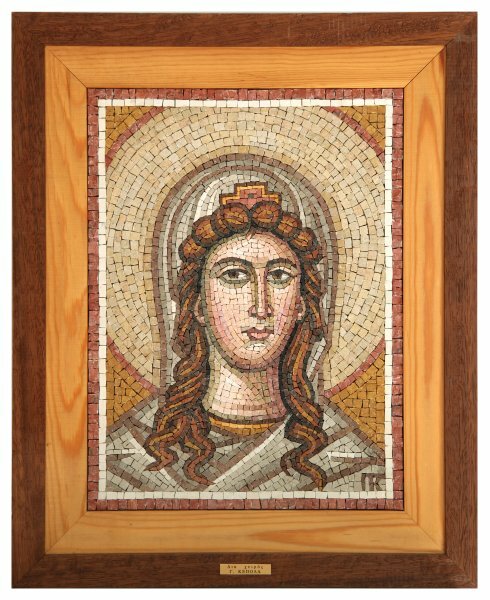 'Panagia of Kykkos - Panagia tou Kykkou' mosaic by George Kepolas, with natural stones from Cyprus. 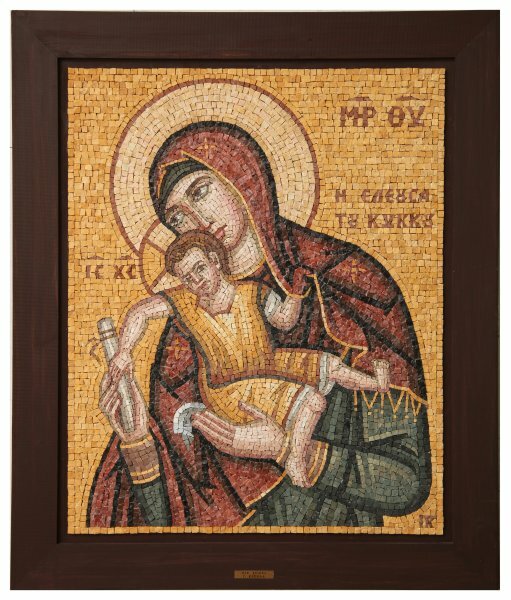 'Saint Elevtherios - Agios Elevtherios' mosaic by George Kepolas, with natural stones from Cyprus. 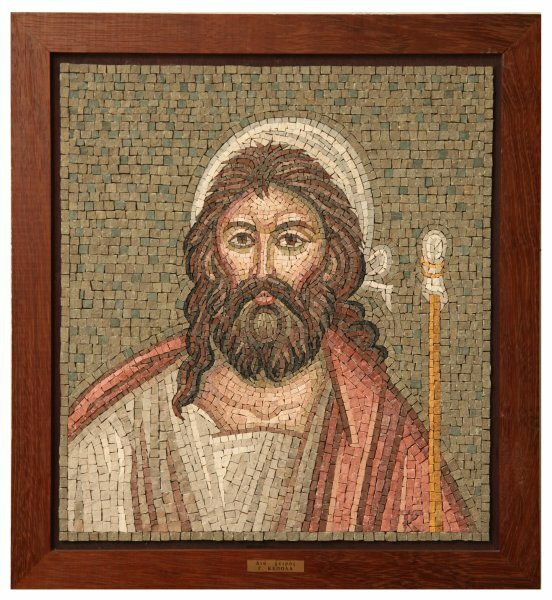 'Saint Fanourios - Agios Fanourios' mosaic by George Kepolas, with natural stones from Cyprus. 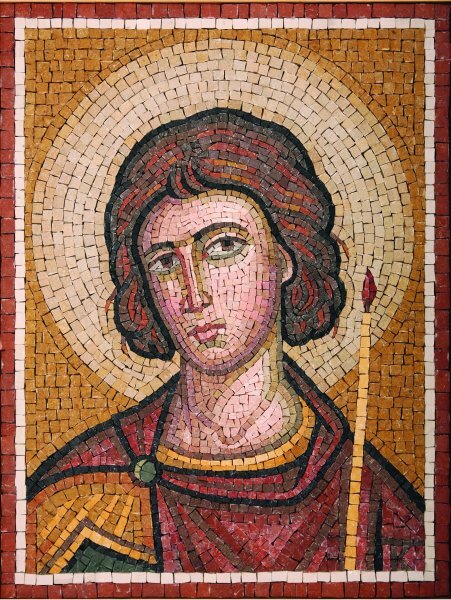 'Saint Kyriaki - Agia Kyriaki' mosaic by George Kepolas, with natural stones from Cyprus. 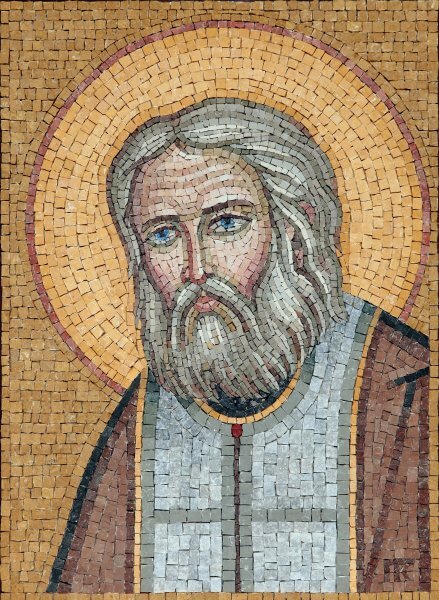 'Saint Sarof - Agios Serafeim' mosaic by George Kepolas, with natural stones from Cyprus. 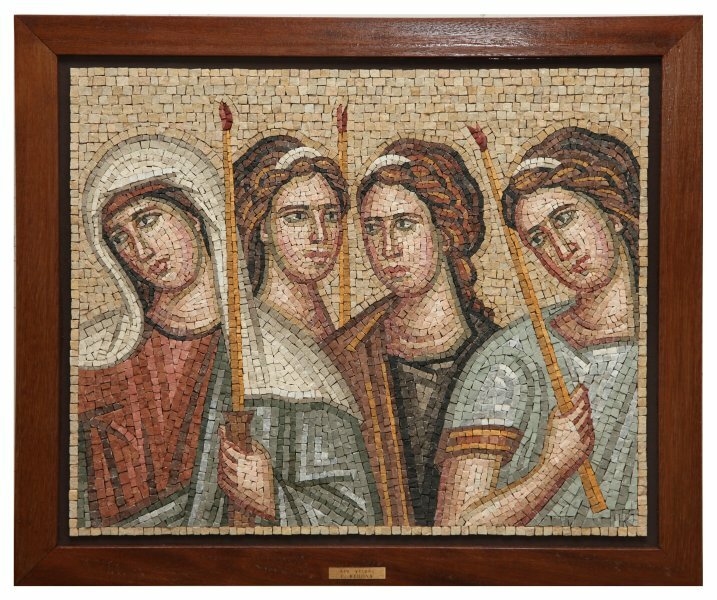 'Daughters of Israel - Kores tou Israil' mosaic by George Kepolas, with natural stones from Cyprus. 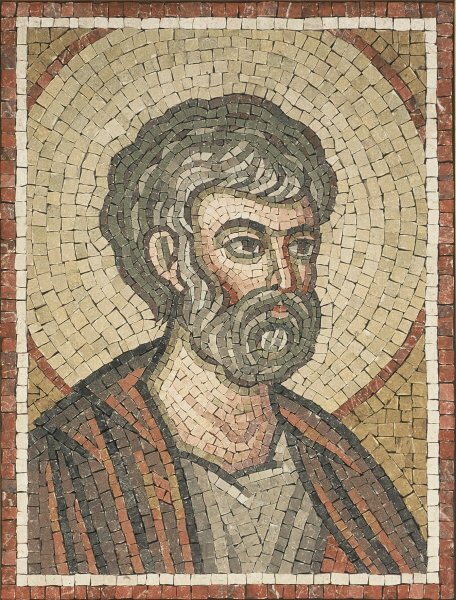 'Saint Paul - Apostolos Pavlos' mosaic by George Kepolas, with natural stones from Cyprus. 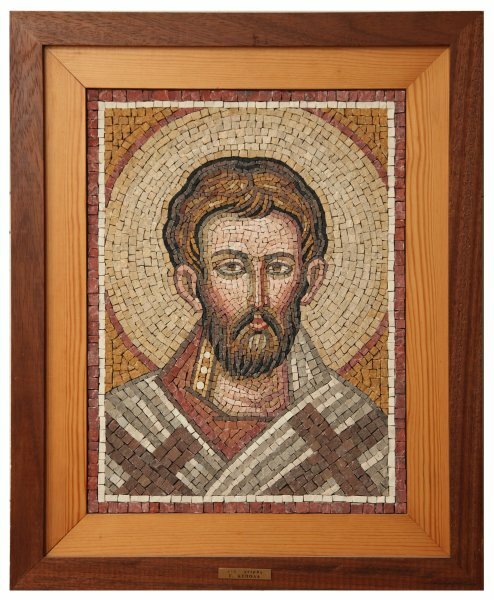 'Saint Peter - Apostolos Petros' mosaic by George Kepolas, with natural stones from Cyprus. 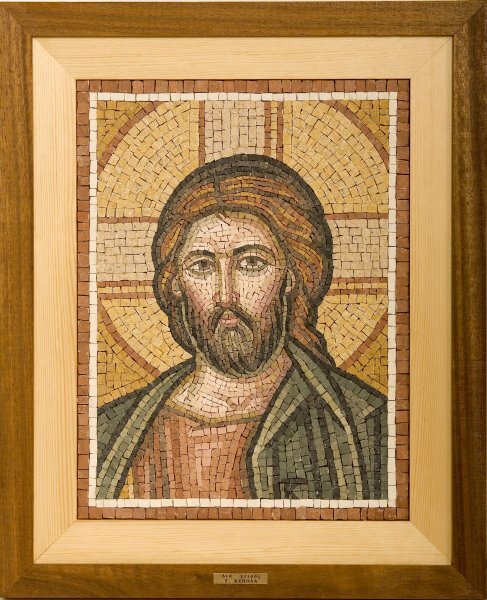 SOLD: 'Almighty - Pantocrator' mosaic by George Kepolas, with natural stones from Cyprus.